Deep hole drilling (gun and ejector drilling) of steel shafts is often used to manufacture custom built hollow bar, where steel suppliers of hollow bar do not have the available sizes you may seek. The deep hole drilling provides purpose built hollow bar. Deep hole drilling requires special tooling to produce long and accurate holes with a smooth finish. On Centre deep hole drilling. Deep holes from 4 mm diameter up to 155mm diameter. Hole depths of up to 7 metres (drilling from both ends). Through holes or blind holes (hole at one end only). Obscure shapes, not just bars or shafts, can also be deep hole drilled. Large work pieces can also be deep hole drilled. 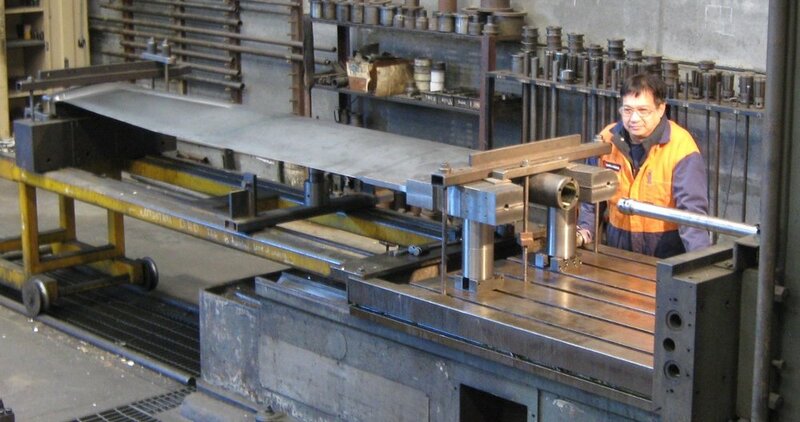 Boring of internal diameters for large cylinders and shafts can also be achieved on our larger machines. Any other machining requirements you have, we probably can assist you with our 12 CNC machines.